Stephen, I enlarged your photo so everyone can see the pendant's detail work and in the 2nd photo, I darkened it so the engraving would stand out more. Would anyone else like to help Stephen understand the pendant's meaning? If so, please feel free to join in. 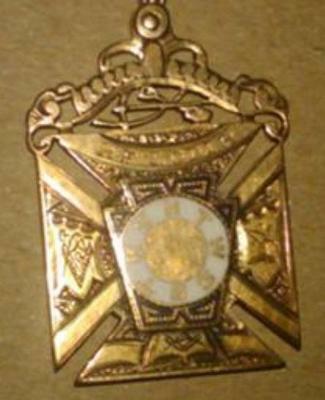 Whilst not in disagreement with the description referring to the York Rite, under the authority of the Grand Lodge of Mark Master Masons of England, Wales and it's Districts and Lodges overseas, the item pictured is a Keystone of the Mark Master Mason's Degree. 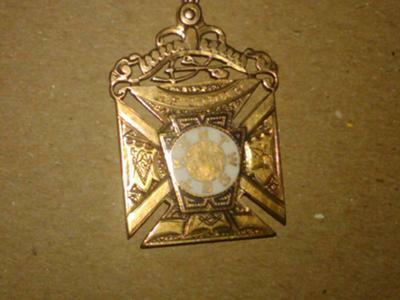 That's a keystone pendant, from the Royal Arch degree in York Rite masonry (which I am a member/officer/head of) the letters stand for Hiram Tyrean Widows Son, Sendeth to King Solomon. Nothing secret about it. A very fine piece of heritage jewelry. I found a silver pendent 23 years ago while metal detecting. On one side are Hebrew symbols with the cup of Christ in the center bottom. On the other side is Middletown Chapter with the Masonic stone in the middle with the initials HTWSSTKS. Underneath this are the words "Middletown, Ohio and the date, 1862. This pendant is silver and I was wondering as to its story. The Cross Pattee shape of the pendant would indicate the wearer was a Knight Templar. The keystone in the center is an important symbol in the Capitular Degrees of Mark Master and Most Excellent Master. Above the cross appear to be a pickaxe, spade, and I'm going to guess the curved shape is a crow, which are among the working tools of a Royal Arch Mason. The lower arm of the cross appears to represent a Masonic altar, bearing an open Bible on which rest a Square and Compasses. The S&C, with the letter G (the most recognized Masonic emblem) are the the arm of the cross to the viewer's left. The right arm appears to bear several working tools of symbolic Masonry: I can make out a trowel and level. How Do You Become a Royal Arch Mason? I would like to carry the tradition of my Great Uncle, Harry Loder, whom owned this piece, how do I achieve this? First, you must Find a Masonic lodge near you. Contact them, and request a petition for membership. Upon completion of your petition, the lodge Investigative Committee will make an appointment to visit with you and your spouse and family in your home to perform a due diligence investigation. The link, above outlines each member's required duties in performing the investigation, but also includes the checklist of the requirements which must be met by all members of the fraternity. The Investigative Committee will ask you and your spouse questions to learn what you expect from Freemasonry and what it will expect of you. If the Investigative Committee is satisfied that you would be an asset to the fraternity, a date is set on which the lodge will ballot upon your membership. In the United States, if you are accepted as a member, you will begin attending lodge and will soon be scheduled to receive your first degree, that of Entered Apprentice. Subsequent, progressive lodge degrees are the Fellowcraft Degree and the Master Mason degree. 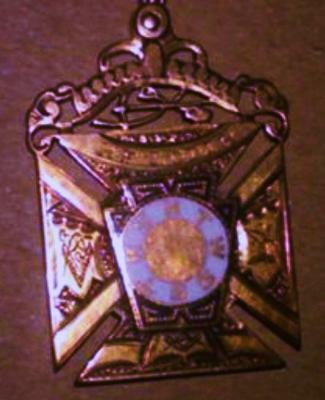 In the United States, upon passing the 3rd degree, that of Master Mason, you are eligible to apply to either or both of the Scottish Rite or York Rite appendant bodies of Freemasonry. A Rite is a series of progressive degrees that are conferred by the several Masonic organizations or bodies within the fraternity. The York Rite is comprised of 3 primary bodies, each of which are independently governed, but all of which are considered to be a part of the York Rite. I hope this information is helpful to you, Stephen.